HONOLULU -- Medical Activity Japan (MEDDAC-J) participated in the 35th annual emergency response exercise deploying a medical team along with medical supplies during the Sagamihara Prefectura Disaster Drill, Sept. 1, 2014 linking various local area agencies, subject matter-experts, equipment, and operation procedures together to best respond to a disaster in Japan. During this year's scenario, participants responded to a magnitude 7.0 earthquake with the center of the shock located at Sagamihara City where reports of building collapses, fires, and slope failures occurred throughout the city. 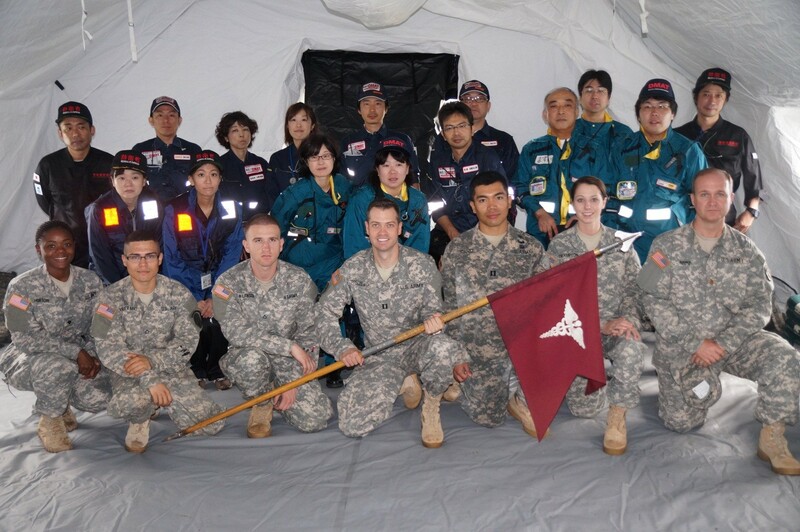 A Joint level Operation Center consisting of Japanese Disaster Response Teams, Japanese Ground Self-Defense Force, and United States Army-Japan stood up at Sagami Depot, Japan to address the humanitarian crisis. 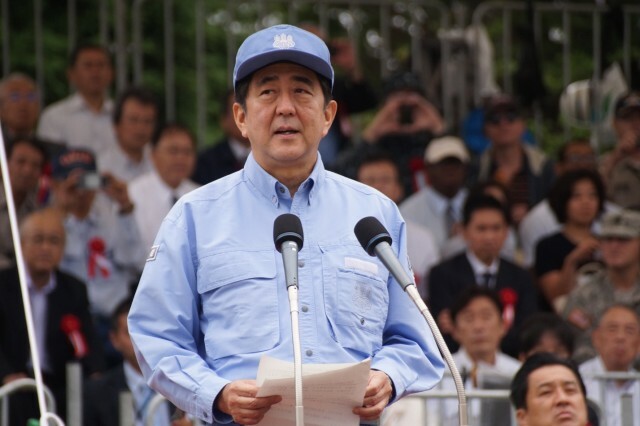 Japanese Disaster managers and municipal assets immediately deployed to support the earthquake exercise in front of a crowd of over 6,000 local residents, including Prime Minister of Japan, Shinzo Abe. MEDDAC-Japan's Commander, Col. Thirsa Martinez, was honored to be a part of the unique training event. "Chaos, confusion, and sirens during a disaster is tremendously overwhelming for first responders let alone the human dimension; disaster training leverage ones expectation to test response capabilities to these emergencies in real time," stated Martinez. Maj. Darrel Reamer, senior physician for the team, says the drill provided an exclusive opportunity for international, inter-service and interagency disaster assistance training. "Emergency medical systems from a wide variety of agencies were integrated to provide comprehensive triage, stabilization, treatment, transport and evacuation. 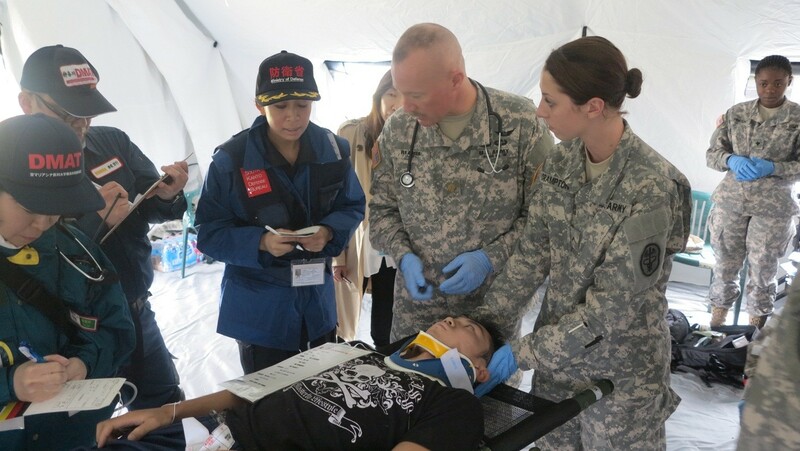 As the USARJ medical contingent, MEDDAC-J is committed to supporting real world disaster response in Japan and strengthening bilateral relationships through participation in future training activities of this type." During the demonstration, MEDDAC-J's medical team supported the Sagamihara Medical team at the triage site. Over 30 patients were treated with 13 receiving care from the joint triage tent. MEDDAC-J's lead planner, Capt. 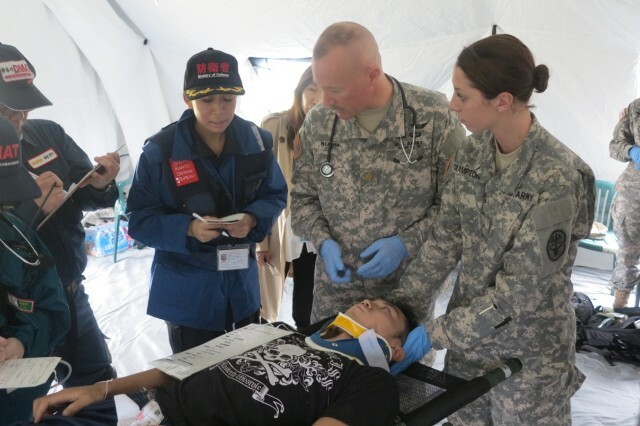 Michael Preczewski, stated upon the completion of the disaster drill, "After 6 months of detailed medical planning it felt great to watch U.S. Army Japan's medical assets provide seamless medical care alongside Sagamihara's local hospital medical teams and the Japan Self Defense Force providers." As a part of the Japanese community, MEDDAC-J is prepared to support Japan in the event of a disaster and are proud to demonstrate commitment every year at the prefectural disaster drills. The Sagamihara Prefectura Disaster Drill is Japan's largest disaster response exercise held all year.